Check out these spots to chill and recharge, all within Singapore. Let’s talk about these curious things called weekends. Weekends are one of the most precious commodities in our high-stress, fast-paced lives, and they also seem to go by suspiciously quickly, especially when you’ve got a metre-long to-do list of overdue errands. Live a little; ditch that list, postpone Netflix and pyjamas for another time and head outside. 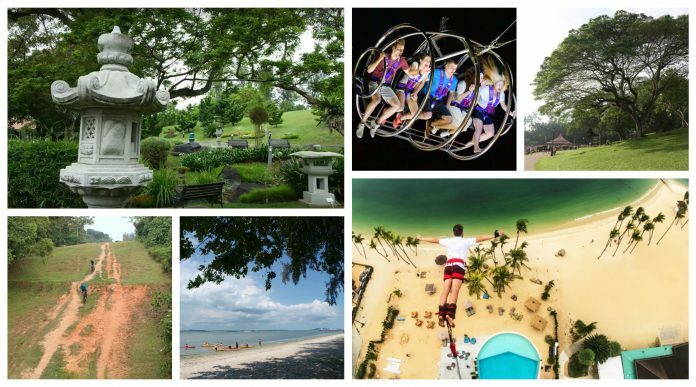 Singapore’s got you covered with cool outdoor activities that will put a spring in your step and some fresh air in your lungs. There’s no rule that chilling has to be done at home, or even indoors, for that matter. 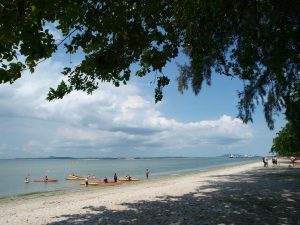 Spread your beach blanket on the sand at the restful Changi Beach Park. While it’s one of the older parks around town, it’s relatively less-visited than most of the popular outdoor spots. Fewer people equals more relaxation and more you time. Soak up some rays, get cosy with a book, set-up a lush picnic spread or even take a nap in this more out-of-the-way park. Chill Tip: Park at Carpark 1 and choose a quiet spot to lay your blanket. The sea views are therapeutic and calming, toilets are close by, and if you’ve got the kiddies with you, they can go wild in the nearby playground while you daydream, or doze on the sand. 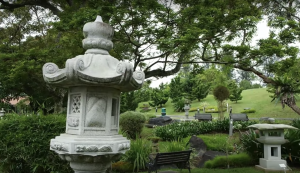 If it’s artful tranquility you are after, the Chinese and Japanese Gardens in Jurong East will serve as the ultimate backdrop of serenity and inspiration. Take your sketchbook or your camera with you and allow the sculptures, pagodas and unique architectural elements to speak to your inner creativity. There are many grassy spots and little pavilions to choose from, for the perfect spot where you can do art while you chill, or you can artfully chill. Chill Tip: Stake out a spot on the banks of the Chinese Garden side of the river, near the Bridge of Double Beauty, which connects the two gardens. The temperature is cooler near the water, and you may catch a lovely breeze. Toilets are not that far away, just near the edge of the Garden of Abundance, so you don’t have to worry about walking too far when nature calls. If you’re sick of sitting still all week at work, don’t sit still on the weekends. Get on a bike, get your muscles moving and go exploring instead. While cycling is one of the best cardio exercises for boosting heart health, it is also extremely fun and suited for those who like to enjoy nature while being active. 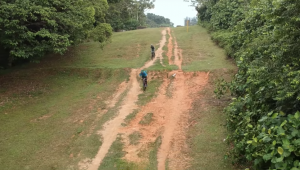 Bukit Timah Nature Reserve’s mountain bike trail is a 6.5km loop through rugged terrain — look out for endurance-testing climbs and challenging, rocky descents which would suit more seasoned riders. While you’re cycling, take in the rich environment of the nature reserve with its diverse ecosystems of of animals, insects and trees. Active Tip: If you’re keen on testing the MTB trail, put on some protective cycling gear and be ready for a bumpy ride — literally. While more experienced riders will enjoy the mountain biking trail, those who prefer hiking will have several interesting paths to choose from. Toilets are at the visitor centre, where only souvenirs are sold, so bring your own packed lunch! Stress and worry over bills, family, work and the future can overload our already busy mind, and affect both physical, and mental health negatively. While some might hit the spa to achieve mental relaxation, others need to pound the pavement. 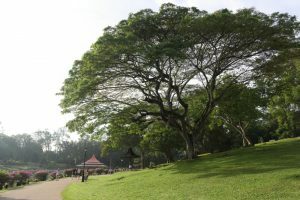 In this case, we suggest running through the MacRitchie Reservoir Park, which offers nearly 11km of varying terrain. You can change it up and create your own running route, whether on the boardwalk or through the dirt tracks. There is also an extensive 10.6km loop around the reservoir for those who are really serious about mind-clearing, fat-burning cardio. Active Tip: Make the most of your visit and spend the whole day in this amazing nature park. Check out the walking trails, hiking trails, treetop walk, the reservoir and the beautiful green spaces. Be prepared to bump into MacRitchie’s animal residents (Don’t feed them!) and keep a respectful distance from the long-tailed macaques. If there are people who want to spend their weekends relaxing, there are certainly those who long for that daredevil rush to make them feel alive. Adrenalin-seekers will love the intense nature of G-Max’s outdoor attractions. The GX-5 Extreme Swing has a 50m drop that reaches wild speeds of over 120kph while the Trampoline Bungy bounces up to 8m into the air, allowing for fun twists, flips and somersaults. If you’re at all worried, relax (or get excited) – G-Max has a 100% safety success rate and the staff are highly-trained and responsive. Safety Tip: These activities are truly not for the faint of heart and could be extremely challenging to the elderly. 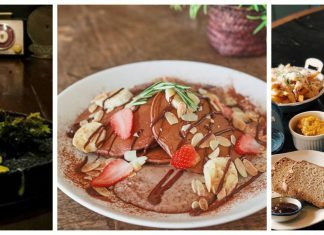 If you’re over 60 or have a heart condition or any serious disorders, consult with your physician and get the official thumbs-up before attempting any of these adrenalin-raising attractions. Here’s another one for the fearless. 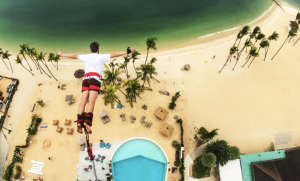 Singapore’s first and only bungy jump, at AJ Hackett Sentosa, overlooks the beautiful Siloso Beach. Standing at 50m tall, it boasts of a 47m bungy drop – that’s more than enough height for any kind of dive, flip or twirl you want to attempt on your way down. 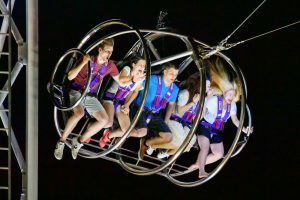 Thrill-seekers who enjoy challenging their fears will also get a kick out of the giant swing, vertical skywalk (rappelling face first down the side of a tower) and skybridge. Safety Tip: Be forewarned – AJ Hackett Sentosa is all about heights. The above-mentioned safety tip applies here as well. Get approval from your doctor if you have a heart condition, are older or are dealing with any other medical condition. Otherwise, just take the leap!